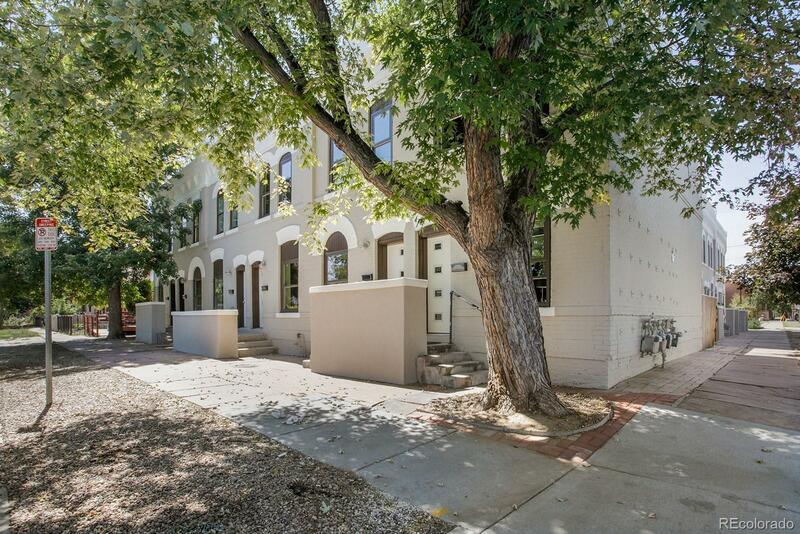 Wonderful town home in super hot Cole neighborhood! Great opportunity to get into this neighborhood at a reasonable price point. Close to RINO, the new Rock Drill development and Light Rail make this one of the hottest neighborhood in Denver! New wood floors throughout main level with new modern kitchen, including cabinets, counter tops and stainless appliances. Two bedrooms upstairs with new carpet and full bath. Washer/dryer hook ups in unit. This unit has a small fenced area in back No HOA, party wall agreement. Many developments only blocks away!